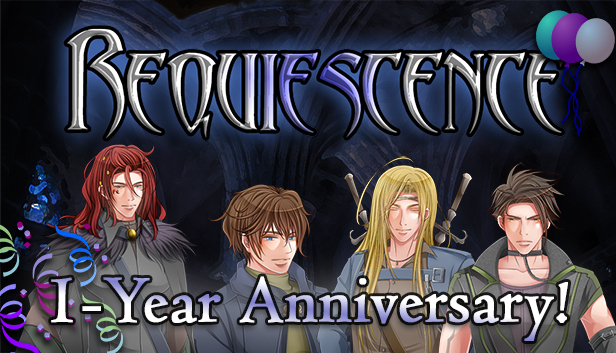 Exactly one year ago today, we released our first visual novel into the world – Requiescence! It’s pretty hard to believe; we’ve come a long way since then and learned so much during development that Requiescence seems like a distant memory. Now, as we prepare to release our second game within the next couple of months, the two of us at Argent Games wanted to celebrate Req’s birthday with a few goodies. For one day only, Requiescence is available at 50% off! If you’ve wanted to give it a try but never had a chance to purchase the game, here’s your golden opportunity! A giant thank-you to everyone who supported us during Req’s development back in 2016. Without you, we wouldn’t have been able to make Chess of Blades – a project with much more art, voice acting, and higher production quality all around! Req lifted Argent Games off the ground, and we plan to keep improving the quality of our projects with each new release. Requiescence now on Google Play!